The record-breaking Fall 2017 natural disasters continue in force as the remnants of Hurricane Ophelia strike Ireland and the U.K., bringing with it hurricane-force gusts. Several people have reportedly been killed and nearly 400,000 homes and businesses are without power. It was the most powerful cyclone to strike the British Isles in 56 years. That makes this storm highly unusual. Strange and unusual weather happens from time to time, but what year can possibly be compared to this year? It's the convergence of these events in Fall 2017 that piques the interest. Those scoffers who say nothing is happening are blind to reality. 1. Most powerful cyclone in the British Isles in 56 years - 30 foot waves were recorded. 2. Deadliest wildfire in California's history still ongoing (40+ killed, 99+ still missing, 5,700+ structures destroyed, 220,000+ acres burned). 3. 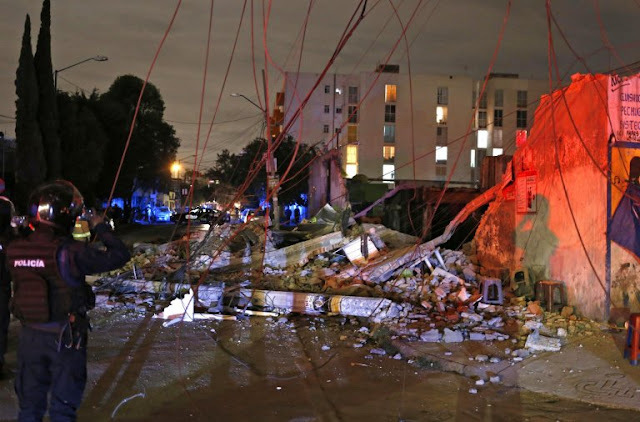 Deadliest earthquake in Mexico in 32 years. 4. Days before #3, the most powerful earthquake in North America in 50 years, which was the most powerful quake in Mexico in 85 years. 5. 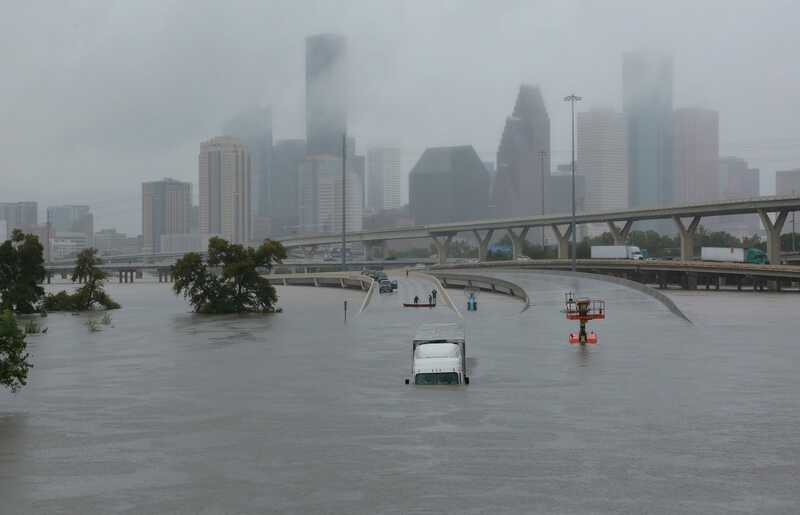 Harvey: most rainfall from any storm in U.S. history; possibly costliest disaster in U.S. history; first major hurricane to make U.S. landfall in 12 years. 6. Irma: most powerful hurricane ever recorded in the open Atlantic; lowest central pressure of a hurricane ever recorded in the open Atlantic; the longest, most powerful sustained winds ever recorded for a cyclone anywhere in the world; longest lasting Category 5 hurricane in 51 years. 7. 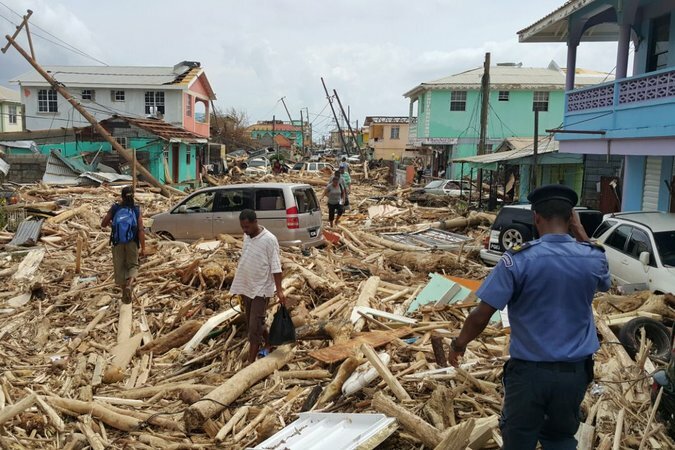 Maria: first Category 5 and most powerful hurricane ever to hit Dominica. Most powerful hurricane to make landfall in Puerto Rico in 89 years. 8. 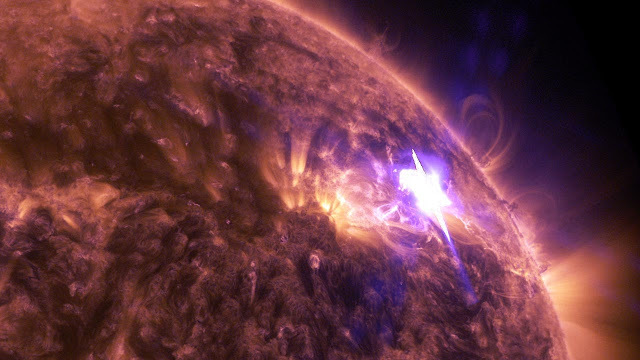 The most powerful solar flare since 2003 and the most powerful solar flare to hit earth since 1997. 9. 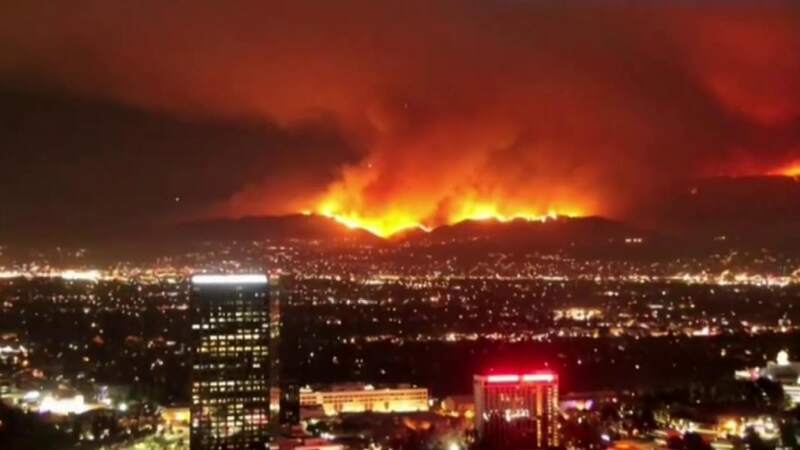 Largest wildfire in Los Angeles history. 10. 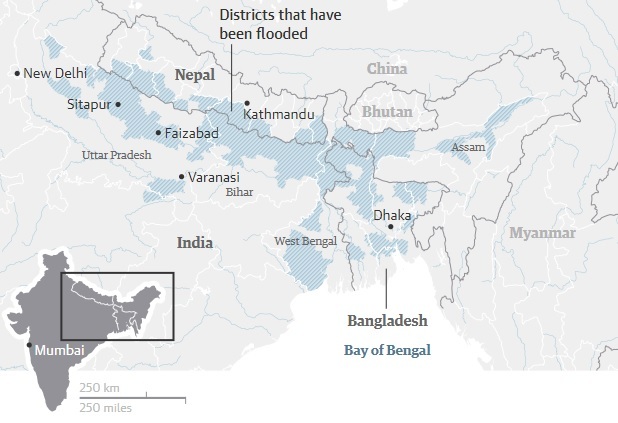 Worst monsoon and flooding in South Asia in decades in which over 1,300 were killed. These are just a sampling from the past few months. There were also record heatwaves and wildfires in Europe, some of which are ongoing among many other extreme weather events. Outside of natural disasters, we tragically witnessed the largest mass shooting in U.S. history. Most importantly, significant prophetic events actually have taken place just like in 2015 when many scoffed and then Russia and Iran moved into Syria, setting the stage for the fulfillment of parts of Ezekiel 38. Just last week on the 7th day of the Feast of Tabernacles or Shemini Atzeret depending on which calendar you use, Fatah and Hamas signed and announced a final reconciliation agreement that reunifies Palestine after a decade-long split. This paves the way for a final peace agreement between Israel and Palestine that could very well be the covenant spoken of in Daniel 9:27. This was huge news. Keep watching! Well done Gary. Thank you. I am currently working on a spreadsheet that correlates dates and times of signs over the past few years with events over the past few. Do you know of any good ones already available? I am doing this because I thought it could be a great tool as I tell those around me. I'm not aware of any myself, but I think we would all be blessed to have a resource like that. Big "stuff" is happening even if we haven't yet witnessed any of the "big three" (Rapture, 3rd Temple construction, 7 year covenant). One, it's a great daily source of info, and two - if you scroll to the bottom, they have archives of all major news stories in the last two years. Would love to see what you come up with when you're done! Thanks Gary and "Unknown". I will share it with you in the next couple days hopefully. How would you like me to share it? Whatever works best for you! A Google Spreadsheet is fairly easy to share a link that lets people view it without being able to edit it. 38 And,“But my righteous one will live by faith. Gary and unknown, here is a link to a spreadsheet I started. There is so much info available already, but I haven't seen it all in one place. This could be useful if I could get it done but I just don't have the time. I can fill up a day reading scripture, checking the news, checking all the great sites like this one, working (cybersecurity), taking care of my family etc... Trying to add this pet task to it just isn't happening so here it is, editable, because I just cannot. I'm not convinced the covenant spoken of in Daniel is necessarily between the Antichrist and Israel. I thought that way for a long time, but it seems the Jews have so many different factions in Israel that disagree on policies with the Palestinians that an agreement with them seems unlikely, if not impossible. I've heard some very good arguments that the confirmation of the covenant spoken is between God and Israel, reaffirming the Abrahamic covenant. If this is the case, we might be looking for this physical signing of a covenant when it may have already occurred. What do you think Gary? In my personal, very humble opinion, I think God and Jesus both have a pretty good sense of humor. The sky over London is reported widely as being YELLOW today because of Ophelia. "Feels", the new Calvin Harris song featuring Katy Perry. Check out her unusual dance moves at 0:21. So similar to O-feel-ias pose, except for the YELLOW hair of course. Coldplay, British band. Many interesting songs and lyrics (as an aside, check out lyrics to Something Just Like This). An additional point to Ophelia making landfall in the UK, 30-YEARS AGO TODAY was the Great Storm of 1987. October 16, 1987 was the day that the worst storm to hit the country since 1703 struck the south of England. 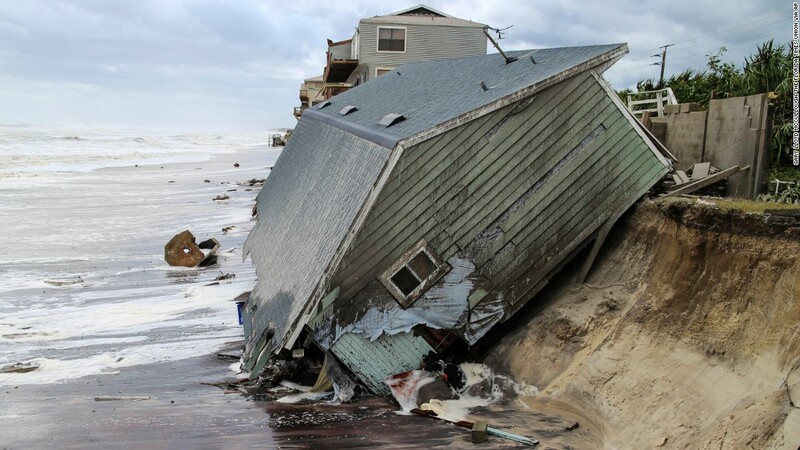 18-lives were lost during that storm. 30-years later we have Hurricane Ophelia marching across Ireland, across Scotland and into the North Sea. A perfect parallel to the Mexico City quakes of 1987 and 2017 - separated by 30-years to the day. Crazy stuff. God is certainly not playing around - He's trying to get the world's attention in some very unambiguous ways. Gary....Thank you for the excellent compilation of these mega events that are exponentially increasing in size, duration and frequency. Lawless....Funny you should mention hurricane Ophelia. These past hurricanes of Harvey, then Irma, then Jose, then Maria, ...then Jose and Maria becoming one, and then comes Ophelia. I have been obsessed with the connections these hurricanes have been having in the satanic inspired I Pet Goat 2, and then comes along Ophelia. This may already be out there in print,but I haven't seen it....however, I was intrigued by the closeness of the name Ophelia with the constellation Ophiuchus, (the serpent bearer). Ophelia is the feminine derivative of the name Ophiuchus. The sunb has left Virgo and is headed to Ophiuchus. I can't reveal anymore other than my following gut feelings. I personally feel the Rev 12 sign is a genuine divine sign orchestrated in the stars by God. However as a warning sign for perilous times ahead. If one reads on to Revelation 12:7-9....there is a war in heaven and Michael and his angels fought Satan and his angels, defeating Satan and casting him and his ilk to the earth. I feel events have happened just recently in the heavens that we could not see or hear....but could it not be that we here on earth are seeing these cast down Satanic angels finding places in weak minds to cause them to mass murder in Vegas, cause horrific weather event with record breaking hurricanes and wildfires? It seems weird that ever since the August 21st eclipse, such record breaking events are happening. Before the cleanup of one event is just being started, another one comes along. I am not a prophet and do not say "thus sayeth the Lord", but as just a layman and a close watcher of scriptures tied to world events, I will say that if these demons have been cast to earth recently, the proof will extreme increases in more weather phenomena, mass killings, and other stuff the millennium will be free of. I expect major earthquakes to our country as God has allowed Michael's protection to stand down. If we don't see any increase in intensity, frequency, and variety of such calamities in the coming months, then I will be the first to raise my hand and say my gut feelings about Michael casting down Satan and his demons hasn't happened yet. Whatever, I totally expect to be witnessing such in the future with fellow Christians. The secular world will desperately need and many of them will listen to our testimony. We have a lot to ho through with the help of Christ. StanFoster, I am on your page. I keep sensing/expecting earthquakes and volcanoes. My brother who is called Daniel dreamed recently of Mount Vesuvius erupting before a rapture event. I especially agree with, "the secular world will desperately need and many of them will listen to our testimony". StanFoster - thank you for not admonishing me on my post. I was hesitant to put something out there that was so, well, out there! I see so much more like this funny Ophelia message. And I agree, as soon as I saw Maria y Jose were names on the hurricane list, I just thought well, what's next - Jesus of course! I've been thinking those same thoughts myself about satan being cast down with his angels. I work in a mental health clinic and we've seen a significant rise in suicide attempts, and people just going crazy...all just in the past few weeks. I think there are more of us thinking this now. Nina, regarding your comment about people going crazy and committing suicide. The name Ophelia means "help" and in Hamlet, she went crazy and drowned herself. Interesting choice of names for a cyclone. I don't think Ophelia could deal with Hamlet's depression, or as they called it long ago, melancholia. Indeed. All the world is INDEED a stage and, "the Wise will be made spotless and refined, but the wicked will continue to be wicked. None of the wicked will understand, but those who are wise will..." (Dan 12:10). Consider here the 'Wise' referring to those of us Watchers, all sharing the Mind of Christ. Of course, we will understand, even if our 'understanding' is more in our gut than in our heads. Again, stick-figures trying to intuit things off the page. Meanwhile, the lost scratch their heads, mumble about global warming or some other drivel being feed the sheeple and the beat goes on, for a bit yet. I am eager for that foretold instant when we are all 'made spotless and refined', aren't you? (Eph 5:27) :) Maranatha! Kris, I think this is exactly the moment in history to be more heavenly minded than ever before. The Bible says to watch, pray, be sober and vigilant and Jesus said to Look up, lift up your heads and that's because there's a lot going on up there ! I can barely pay attention to anything not prophecy related. Keep storing up that treasure in Heaven. Kris & Archangel, thank you for your posts. I am very action and goal oriented. However, lately, I wake up in the morning, have my plans for the day, but very little gets done other than reading info on the web and in FB about what's going on that's prophesy related and sharing the gospel. You"re welcome, Mike. I have so many shows tivoed that I almost have to force myself to watch. And I like these shows. I keep reading and studying until I am faint with hunger. I do make an effort for my coffee. I have to feed my cats or there's trouble. I am intrigued by the young man that was just elected in Austria, I believe. They said he is the world's youngest leader. Something else to study. I don't know why I feel Abbas is intimidated by Trump. Kris.....Even though I really feel I will go through this countries devastation, other than prepping to help others including myself, I am continuing on with building curved stairways knowing that someday I will be spending all my energy surviving and helping others to, and will have to walk away from my stairway projects. My personal motto is "The last stairway I am going to make is the one to heaven." By the way, all of you on here will join me as we all will make that last stairway to heaven! GARY, grab me that oak tread...JEFF...grab me an oak riser,...HILLARY..Help me measure for the opening through the clouds of heaven..
Gary- I am surprised that no one in this community has mentioned the announcement from ESO today, given the fact that literally an unprecedented celestial event took place IN the constellation Hydra (the serpent) directly underneath Virgo. Further- the phenomenon actually FLUNG something to the Earth in the form of gravitational waves. While I am not claiming unequivocally that this fulfills Revelation 12:4, I am saying it is an awfully interesting coincidence so shortly after Jupiter's exit. Nice find Keith. I am watching with anticipation. Thanks brother. An interesting discovery - observable gravitational waves, or at least visible light simultaneous with said waves. I can't yet see a significant prophetic connection, except for the fact it continues the narrative that man can figure everything out on his own. Agree with Keith...this is a groundbreaking astronomical discovery and the fact that it took place in Hydra seems very coincidental. I believe I read that the discovery was made mid August. Also want to include a link about the wildfire devastation taking place in Spain and Portugal. Didn't even know this was occurring until I read about it on Israel's twitter account. Their wildfires are as bad as California's. Tragically 35+ have died already. "Astronomers have made one of the biggest breakthroughs of the decade after detecting both gravitational waves and gamma rays from the merger of two neutron stars. Announced today at a co-ordinated set of media briefings in Washington DC, London, and elsewhere, the detection was made on 17 August, with the gravitational waves spotted by the LIGO–Virgo collaboration and the gamma rays picked up by the Fermi Gamma-ray Space Telescope." There are some interesting pin-points in this event. Some in the astronomy community herald this event as confirmation that light speed ("c" for celeritas) is a constant (not variable) and that gravity and light travel at the same speed. The constancy of the speed of light is an issue under debate and impacts measurement of distance and time. This has relevance as it may be seen as evidence against Biblical time-lines and the authority of Scripture. It may be seen as further "proof" that G-D does not exist. There is an interesting picture formed in this when looking at it with astronomical software. Jupiter is in Virgo as we all know. Spica, (meaning "seed" in Hebrew if I recall), was on the opposite side of the ecliptic with NGC4993 (found in the tail of Hydra). In other words, the massively energetic and fiery event observed in the tail of the serpent was *separated* by the sun from Jupiter. This may be suggestive of seed of the woman (Jupiter in Virgo) vs. seed of the serpent (formation of a black hole via merger of neutron stars in Hydra). This is interesting to me from the stand point of (Genesis 1:2b). This is taken from the Hebrew Tanakh. I have yet to complete a mechanical study of this passage but believe that this verse illustrates the first effect of G-D's presence over the "face of the deep". That effect being what we call gravity. Ancient and Biblical Hebrew is most about function. We see in (Genesis 1:2b) that a "wind from God moved upon the face of the waters." If the "cause" is a wind from G-D moving upon the waters, then we may understand the *effect* to be waves upon the waters. Waves are exactly what LIGO is designed to detect. Gravitational waves. And it did! What existed prior to G-D moving upon the waters? What was upon the face of the deep? Darkness. What is darkness? The absence of light and in the context of (Genesis 1:2) it could be contorted into being the absence of G-D. There is a potential parallel of the formation of a black hole in proximity to Virgo (the Virgin) and it being the sign of the dragon. (I'm not ready to say that Hydra and the event recorded in NGC 4993 is the dragon but it may be worthy of study). Could all of this give ammunition to those who profess that there is no God required for creation? Perhaps. Does this event come at an interesting time? Absolutely. May we understand this event as being appointed by G-D? If by faith we must answer "Yes". This massively energetic event is believed to have created a black hole. An object in which light cannot escape. May we understand this physical event as a shadow for a spiritual event taking place? I *personally* believe we may. A further division of atheism vs. Biblical theism. Enmity between the seed of the serpent and the seed of the woman. Think of it this way -- of ALL the places in the sky this could have occurred, it occurred on the opposite side of the ecliptic (track of the sun) from Virgo (the Virgin) and Jupiter (the King Planet) and within a few degrees visually! It could have happened ANYWHERE in the sky, but it happened there. And, what kind of snake creates a loud signal, a WARNING, by its tail? A venomous viper we call a Rattlesnake (common in North and South America). And, four days AFTER this event was recorded, the United States was divided in half by the solar eclipse of 8/21/17. In just under seven years from now another eclipse will complete a TAV (mark) over the United States intersecting the first over "Little Egypt" in Southern Illinois. Some points to dig on, 4-days, serpents, and much, much more for a Berean Study. It may all be nothing, but I believe it is a message to us. I'm still digging on this myself. I hope you are richly blessed as you search the scriptures sharing your time with the LORD! Program Note: By some accounts, Jupiter exited the womb of Virgo on or about 9/9-9/10; before the Great Sign of 9/23-9/24. So too may we understand another sign given in (Revelation 12:3-4). If we were to explore the coalescence of neutron stars, and the expected resulting black hole, as the sign of "a great red dragon", then I believe we see a similar pattern in the appearance. Another sign appeared to a few, observant, astronomers. They being individuals with a access to specific events that the rest of us didn't have. Thus the appearance of the sign on or about 9/16-9/17 by the scientific community is some what parallel to the departure of Jupiter from the womb of Virgo on or about 9/9-9/10. These are events that happened in a past time. A sign before a sign as it were. Re-read (Isaiah 66:7-8 ESV); birth before labour as an example in parallel and context. Likewise we may be able to understand the sign given to a few, now appearing on 10/16 to the rest of us. The mainstream of mankind then sees "another sign" appearing, perhaps representing, "the great red dragon", after the Great Sign of 9/23. Thus another sign appeared representing both past and present. Past speaks to the birth of Christ and every means taken to prevent the Christ from fulfilling Scripture. Present speaks to the birth of the Church we call the Rapture and every means taken to derail our faith and discredit G-D.
1. The initial appearance of the sign being NGC 4993 on 8/17 is four-days (4) before the solar eclipse of 1 Elul. (Five-days if counted from the 8/16 observation). 1 Elul begins the 40-days of Teshuva (Repentance) prior to Yom Kippur (Day of Atonement). 2. NGC 4993 occurs 23-days before the 9/9 (24-days before 9/10) exit of Jupiter from womb of Virgo. Birth before labour described in (Isaiah 66:7-8). 3. NGC 4993 occurs 60-days before being publicly announced (23-days after the Great Sign of 9/23) and "appears" to the whole world via news outlets and Internet. 4. On 10/20/17, Five (5) days after NGC 4993 appears to the general public marks 30-days since Rosh Hashana and Feast of Trumpets. Anyone who has followed Steve at Heavenly Sign 2017 may be interested in this as he has modelled an interesting Scriptural time line developed that aligns with this. Always watching, always praying and always hoping. Share your love of Christ with someone who needs Him most today. We may not have tomorrow to do it. These are the marks of the deceiver. The sign of the red dragon should bear the same fruit. Blasphemous rebellion toward the LORD G-D Almighty, deadly to man. This is how we shall know the AC and his sign. Stay awake and close to the Shepherd. We dare not slumber. Pastor Rich....I have been an astronomy buff all my life. The more I look at the awesome size of our universe, the more miniscule I feel.....but this INCREASES my faith everytime I look into the heavens. Now, that being said, this latest gravitational event/discovery has too many coincidence's, that make me believe it is another divine piece of the puzzle. Thank you so much for adding your neon "highlighter" to this event. I am certain more connections linking this astronomical event with biblical events will be forthcoming. Man, hardly a day passes without some new revelation. Gary don't forget all the events involving animals. I just read and have seen on the news about how only 2 chicks survived out of the whole 40,000 colony of penguins! Dear GOD spare your creations the animals if possible. I think that they are one of the truest expressions of God's love for us!